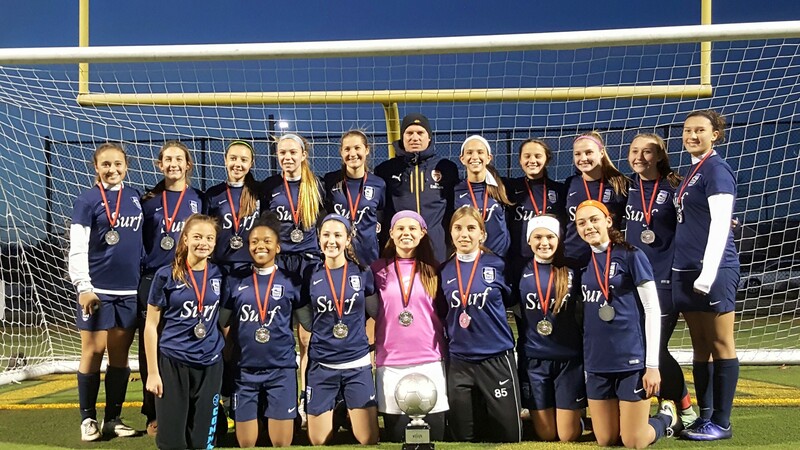 NY Surf G02 LI and Coach Kurt Kelley won the GU15 Girls Elite White Flight Championship at NEWSS. The girls defeated Brentwood 2-0 in the final. NY Surf G02 LI outscored opponents 9-0 and shutout all opponents with their solid defense. Way to go ladies!